El Al Israel Airlines and JetBlue Airways have filed with the U.S. Department of Transportation seeking approval to codeshare. 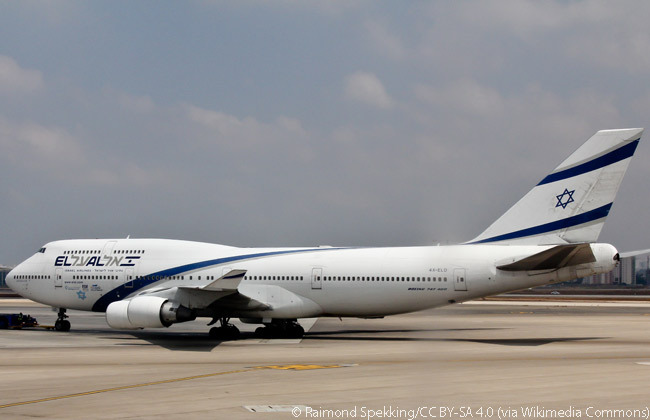 Subject to government approval, El Al plans to place its ‘LY’ flight code on select JetBlue Airways-operated flights to and from New York JFK and Newark Liberty International Airport, expanding connection options throughout the United States for El Al customers. Both airlines serve both airports. El Al currently offers up to 22 non-stop round-trips each week from Tel Aviv to New York JFK and Newark Liberty International Airport. JetBlue and El Al have been interline partners since 2010, allowing customers to purchase single-ticket itineraries, combining travel on both airlines. With a stop at one of the two New York-area gateway airports, customers may connect between Israel and 35 JetBlue destinations including Boston, Chicago O’Hare, Fort Lauderdale Hollywood, Houston Hobby, Las Vegas, Orlando, San Francisco, San Juan, Washington Dulles and West Palm Beach. JetBlue Airways currently serves 86 cities throughout the United States, Caribbean and Latin America, going down into South America as far as Peru.